The Silicone Swim Cap by Swimline is ideal for bathing and swimming; it offers easy fitting, extra durable 100% silicone fabric with amazing stretch. It is 100% PVC and latex free and is completely waterproof. The Silicone Swim Cap will keep short hair dry and covers the forehead and back of neck area. 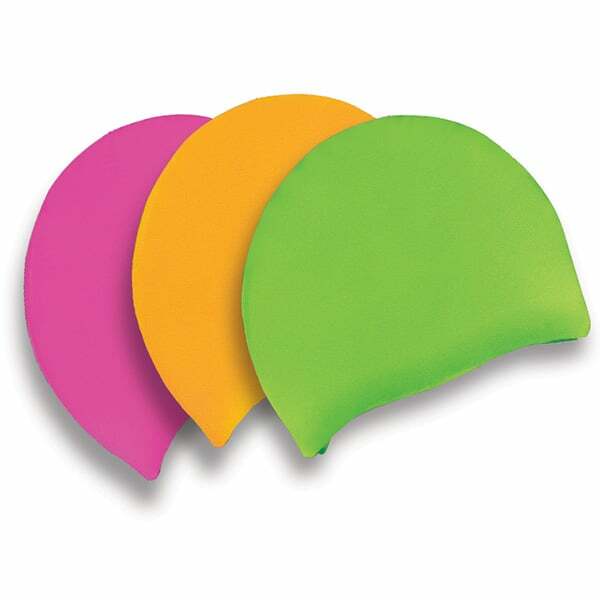 This heavy-duty cap resists snagging and tearing and will fit most average size heads. For online orders over $40 (before tax), shipping and handling is FREE. Orders that are under $40 will have a $5.99 shipping fee added. This item ships via USPS Priority. Most delivery times within the Continental U.S for this item ranges from 2-4 days depending on location. All in stock orders received before noon will ship that SAME DAY.